Time spent playing with our children is never wasted. Hello! I am Ramya Barithaya. I am a mother of a one year old baby boy Aarav. 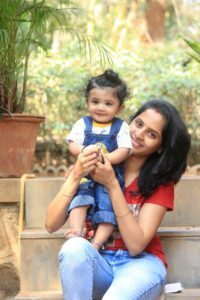 My journey as “Aai”(Mom in Marathi) to my little one has been extra-ordinary, adventurous, thrilling and not to forget tiring and exhausting as well. I had a plenty of time during my pregnancy to research about baby care and play activities, because I had taken a break from work. The reason for research being my biggest question “How to have fun with babies? What to do with them since they are so tiny ! !” You know since Aarav is my first baby I did not know anything. Furthermore, this is when i came to know about lot of new things about babies. 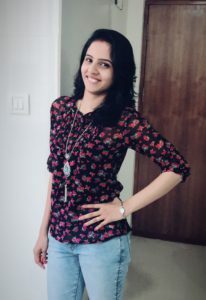 As an expectant mother, all of us want the best for our kids, likewise even I wanted to do the same for Aarav and other babies I knew, hence the idea for this blog. While researching, I started keeping notes of it and sharing it with other soon to be moms. This is where I got the inspiration to start a blog about something i love, that is caring for my baby. Most importantly, I would love to see all the children being loved in anyway they can be. I would like to share the experiences i am learning on this journey. Everything is a trial and error and then improving. We are learning and sharing what we have discovered so far and will keep doing forever. 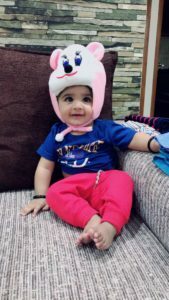 This blog is a place where mothers and parents will get to read articles about ways to make your baby happy, things that help in their brain development right from when they are in the womb, baby play activities and exercise. “FUNWITHBABIES” will not only help you understand everything related to parenting and motherhood, but make it fun too!! Certainly, parenting is a rollercoaster which sometimes you will enjoy and sometimes you would wish was easier. Most noteworthy thing is it will all be worth it when you see your child growing. Your kids remember their Happy Parents when they grow (not the clean house). This blog “FUNWITHBABIES” is a way to help people ease through the parenting journey with the help of fun and play activities and much more. Do you want to contact us ? Click here for contact information and start communicating with us!! What Is Tummy Time? Why Is Tummy Time Important?